Jose Mourinho has identified Nikola Milenkovic to strengthen Manchester United’s back-line in January. The Red Devils’ defenders are having a torrid time this season, having conceded 21 goals in just 12 Premier League fixtures. Eric Bailly has been banished from the starting XI in recent weeks after his poor performance against Newcastle in October. Victor Lindelof seems to be settling in England, but the familiar duo of Smalling and Jones has been below par once again. In the summer, Ed Woodward denying moves for Harry Maguire and Toby Alderweireld is proving costly for the Red Devils at the moment. Now, as per reports, Manchester United officials are ready to free up some funds for Mourinho, as he looks for a Top 4 finish in the Premier League to save his job. Further, Sky sources in Italy suggest that the United gaffer will be eyeing a move for Fiorentina’s Nikola Milenkovic. The 21-year-old defender has scored 2 goals in the Serie A this season, whilst featuring in all 12 games for the Lilies. 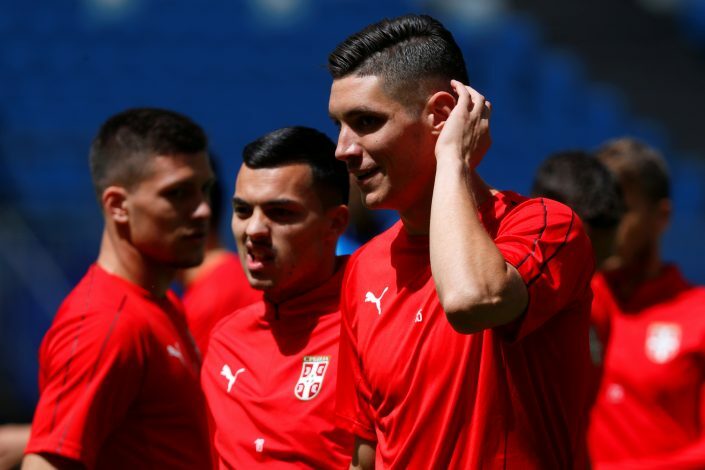 Milenkovic has also cemented his spot in the Serbian national side, and was one of their best performers in Russia this summer. In September, Fiorentina chairman Mario Cognigni revealed that he rejected a £36 million offer for the centre-back last summer, which suggests that the club could be looking for bids in the £50 million region if they are to part ways with Milenkovic. Manchester United will have to face some competition, as Chelsea, Arsenal, and Juventus are also said to be interested in the Serb. Mourinho could turn his attention towards 22-year-old Joachim Andersen if Milenkovic decides to reject a move to Old Trafford. However, Inter Milan and Juventus seem to have already made contact with Sampdoria over a potential January move for the Danish defender.